Every year, whenever downtime allows, archaeologists and their students at Europe’s top universities start packing their bags and make a beeline for Burgundy. Travelling in time as Bibracte shares its secrets – Every year, whenever downtime allows, archaeologists and their students at Europe’s top universities start packing their bags and make a beeline for Burgundy. Their destination is Bibracte and they are seekers of long lost secrets. For those who don’t know, Bibracte, a Gaulish oppidum or fortified city, was the capital of the Aedui and one of the most important hillforts in Gaul. It was situated near modern Autun in Burgundy, France. And Bibracte, spread over 200 hectares in the heart of the spectacular Morvan Regional Natural Park, has plenty to share. Welcome to the ancient capital of the powerful Aedui tribe, home to up to 10,000 people in the 1st century BC; an economic and political powerhouse of its day. It was here that Vercingetorix was proclaimed leader of the Gauls in 52BC shortly before a final, fateful showdown with Julius Caesar and his legions at Alesia. It was to be a pivotal moment for Gaul and signalled the beginning of the end for Bibracte. The settlement went into serious decline as Gallo-Roman influences took hold and slowly disappeared into the Morvan hills, surrendering to forests and Mother Nature. Today, not surprisingly, it is an archaeologists dream. Excavations continue to bring impressive rewards – I am pleased to be able to give an honourable mention here to teams from my hometown from the University of Durham that have been involved – unearthing buildings, sophisticated fortifications and a rich harvest of artefacts. As yet though, these efforts only start to scratch the surface. What makes the Bibracte project so exciting is that only five percent of this ancient site has so far been unearthed. Who knows what this summer’s digging will discover? But the adventure is not exclusive to the experts. Visitors flock to Bibracte in their thousands to wander through this uniquely preserved time capsule and soak up its unique atmosphere. One thing is certain, the Aedui certainly knew a thing or two about location. At its highest levels Bibracte offers panoramic views east from Mont Beuvray to the Alps, and on a clear day, you can see Mont Blanc in all its glory. A guided tour is recommended as you make their way down through the forested mountainsides to visit excavated villas, what would have been busy streets and shops, civic buildings and inspect highly complex fortifications. 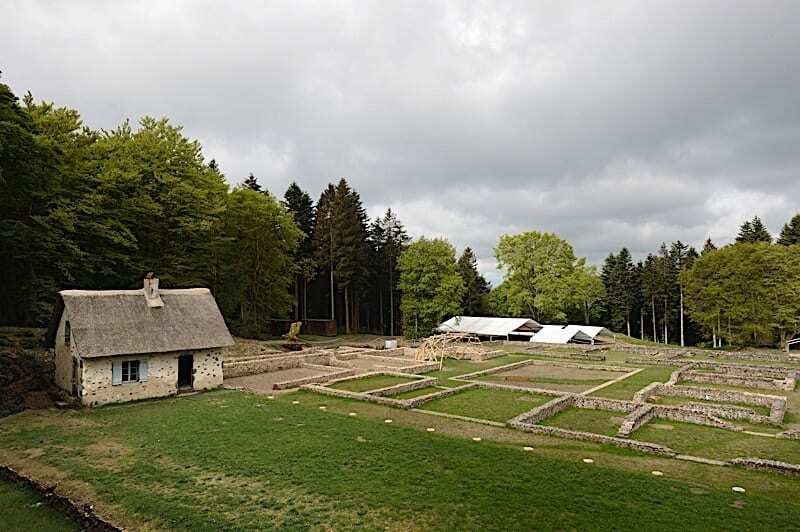 At the foot of Mont Beuvray, the Bibracte story comes alive in a new way, at its modern museum dedicated to Celtic civilisation at the end of the Iron Age. Like its sister at Alesia, Bibracte Museum is wonderfully laid out and an invitation to immerse yourself in history. And when in Gaul you can do as the Gauls did – tucking into authentic dishes of the day at Le Chaudron (The Cauldron) a short walk from the museum building. There’s also a fine range of ales – Cervoise de Bibracte – but don’t be fooled by their friendly flavours – thyme, elderflower and hazelnut – the beers pack a punch at 6.3%. If you are touring Burgundy you’ll be spoilt for choice on what to do and where to visit. Exploring More would strongly recommend adding Bibracte to your list of places to visit.